Finally, we can get home from work in daylight, the tax man has had his pound of year-end flesh and we can nudge the heating down (a bit). But apart from excitedly waiting for the next grizzly installment of Game of Thrones what else should we be turning our thoughts to at this time of year? Yes, if you’ve read the title of this post you’ve guessed it! Our Marketing Plans for 2017/18. Has your customer/client base grown enough in the last year? Are you holding on to existing customers/clients? If the answer to either of those is no, then read on for how to get your plan tip top, squeaky clean and ready to embrace lots of shiny new customers/clients. Who are your customers? And do they use the social media platforms you currently market on? Whilst it isn’t always wise to generalise, small business folk have limited time and resources to spend on marketing and as such they must ensure the channels they use maximise their business’ exposure to the right people. Check out the useful stats on the right to see which platforms of social media are used most by which types of people. Do you update regularly? It’s a challenge for us all to ensure we regularly reach out to our audiences. Not just to remind them that we’re here but also because because with platforms such as facebook, if our followers don’t react to posts (such as likes, shares & comments) then they stop showing up in their feed. And on the non filtered platforms, the relationship you have worked hard to win with your customerbase starts to wane. Are you using the right social media? Do you get much reaction to your social media updates? If you post regularly yet get little response, then it would be worth evaluating whether the type of thing you are posting is actually of interest to your audience. You may need to return to the drawing board on what type of thing you post. I will be writing an article on this soon. Where does your website appear on search engines? This of course depends on what words a visitor puts in to a search engine (keywords). However, if your website has been up for over 9 months and you aren’t seeing it rise in the ranks then there are lots of ways to improve it. Luckily, I’ve already written a right useful article on this, broken down and simple, link on the right. Just ensure you action these things regularly and be patient. Jumping up search engines doesn’t usually happen over night, in fact normally it will take months to show results. But the results, when they come are fantastic! Customers looking for your product/service going straight to your website and it hasn’t cost you an advertising penny! Also a key part of what is known as ‘Content Marketing’, creating blog articles for your website is great for relationship building with your customers as well as for SEO. Ensuring you link blog posts to social media channels, every person that clicks through to your website will be giving a healthy boost to your websites’ search engine position. However, again we have to ask, how much interaction (number of click throughs, social media shares, blog comments) are our efforts gaining? People have busy lives and scores of things demanding their attention online at any given moment. So why should they take precious time out to read your blog? What will they gain from it? If you aren’t a gifted writer (as most of us aren’t) how can you create something that isn’t just attention grabbing but will keep their attention? And hopefully encourage them to share your post, because it’s useful, interesting or entertaining. I’ll be writing a detailed article on this, however in the meantime check out & download this fantastic guide written by Content Marketing thought leaders HubSpot. Not as popular as it once was.  However email marketing can still be another great way of reaching your audience. If for example, people want to be sure to get blog updates you can send the link through on an email. It can also be a good way of reaching new audiences, by offering competition entries by subscribing to your email updates (e-blasts). 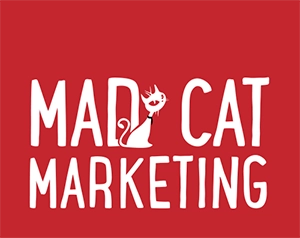 Plus if your customers are business based you can plenty of targeted email addresses from online research and grab their attention with something catchy. It is legal to use business email addresses but only if the option to unsubscribe is clearly stated within the email themselves. How healthy do your open & click through statistics look? Check out the benchmarks for 2016 on the left, compiled by the top email distributor Mail Chimp. Easy to navigate? Visitors need to find what they are looking for quickly & easily. Whether that's information about your business, services or products or to get in touch with you. If you have an online shop is it easy to find and filter? Language easy to understand? The language you use may be easy for you to understand, but is it the type of language new customers would understand? Text heavy? It's not only kids that like their stories illustrated. Make sure you break the text up with enticing images. Responsive? More and more people are using mobile phones & tablets to go online. 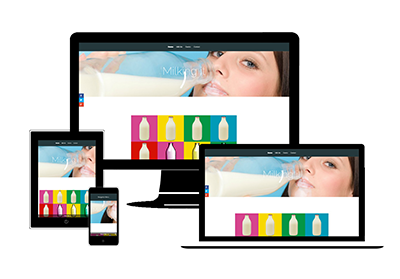 Is your website tablet/phone ready? Have relevant Call to Actions? It's an age old fact that people need 'triggers' for them to act. 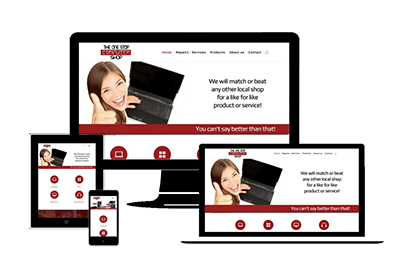 Does your website have bold Call to Actions? Such as 'Get in touch now' or 'Buy today'? Unique Selling Points highlighted? We all know why customers should choose our business over our competitors. But do visitors to your website know why? Ensure your USP's are bold and clear. Has fully working links & third party tools installed? We all need to run regular testing to ensure there are no broken links or out of date plugins attached to our websites. 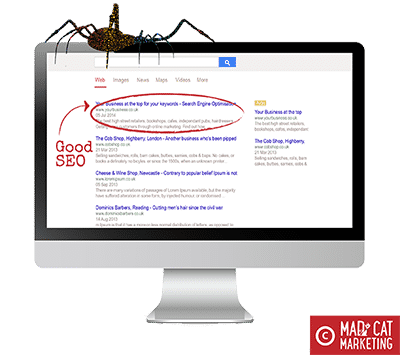 If there are, not only will visitors think it unprofessional but search engine robots will knock down your SEO scoring. You should be taking a detailed click through once every 2-3 months. As a small business owner you will probably have a To Do list as long as your arm. But even taking some of the above steps will help get your Online Marketing Strategy ship shape and your business WILL grow online. It can be hard work, but you may well find you enjoy it. And remember, the MORE TIME you spend on this, the LESS MONEY you’ll need to spend on advertising (if any!). That’s cash in the pocket that is! Wishing you all the very best with it! Please feel free to leave feedback or ask questions below and I’ll get back to you. Don’t worry, we won’t bombard you!